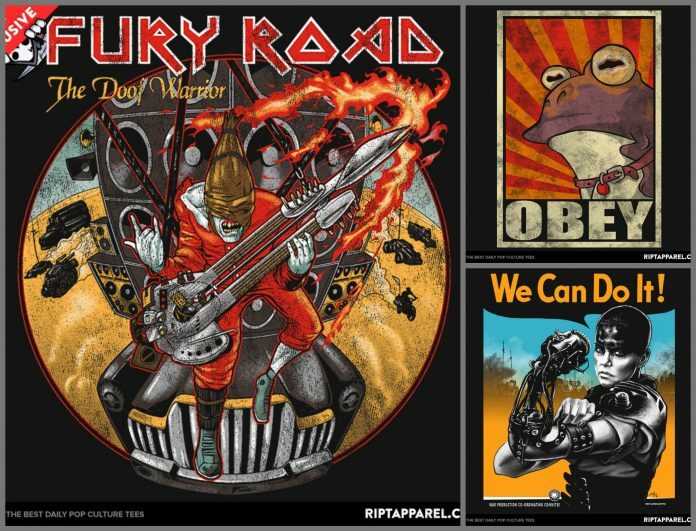 Mad Max: Fury Road fans will not want to miss the new t-shirts from Ript today. As always these designs are only available for 24 hours so if you want one you'll have till 11:59pm tonight (6/12/15) to order yours. I know I am definitely getting the Doof Warrior one that's for sure.